Elbion builds a hypothetical Overwatch roster and explains it’s dynamic. Super-teams have always been somewhat of an enigma. They never fail to generate hype, but they nearly always fail to generate results. Time and time again, across all games, an organization tosses together a team full of star players and finds that the roster can’t work. Sure, an all-star roster can outskill weaker opponents, but once they face tougher competition, they will always run into difficulties. As I have previously discussed, there will simply be a lack of resources. Each star player will be used to having a certain amount of support given to them in order to succeed. But once every player on the roster requires that amount of support and nobody is a role player, you begin to realize the team dynamic is flawed. Prompted by a question I received on Twitter, this series will be about laying out Korean Overwatch rosters that would likely be called super-teams due to the number of high profile players. However these rosters will actually be functional teams instead of six star players thrown together. That means these rosters will have to include clearly designated carry players, secondary carry players, and consistent team role players to round out the rosters. My second requirement will be that the teams need to be versatile with deep hero pools in order to avoid being patch dependent. The third and final requirement will be I cannot overlap players. These rosters I describe will be able to exist simultaneously. SKT, CJ, KT, are you listening? This roster is arguably the strongest out of the three in this series. While the previous roster was focused on the strength of its frontline, this squad instead places the emphasis on the stars in the backlines. There is almost no damage requirements from the tanks due to the skill ceilings of the DPS players. Instead the tank players are selected for their ability to disrupt the enemy and protect their allies. In two instances, I knowingly cut back on star power in order to select combos with pre-existing and proven synergy. The most notable part about this roster is that your secondary Nano Boost and Zarya shield target is not a DPS player, despite it being a backline-focused roster. I have started jokingly calling Flow3r the Korean Tviq. The ordering on that statement is important, as I do not believe Flow3r is the better player. But when you examine the two players, you begin to see some similar patterns emerge. The hallmark of Tviq’s play that has always made him a great was a combination of versatility and raw skill. Nobody questions Flow3r’s skill, but I feel his versatility is often overlooked. Just this season, he has played 12 different heroes; nearly every DPS character, both snipers, and off tanks, such as Winston and Zarya. This versatility and his ability to be a carry force on such a wide array of characters is why Flow3r earned a spot on this roster. He can play the aggressive dive on Genji, or the safe backline Reinhardt shield breaking carry in Soldier 76. This bodes well for his meta and patch resiliency, which fulfills one of my roster requirements. But as I’ve stated before, being a versatile DPS player in Korea does not make one special; you still have to shine. And boy, does Flow3r shine. He has a long history of being a primary carry for Luxury Watch on both the blue and red rosters. As such, Flow3r is this roster’s primary Nano Boost target. The fact that he cannot only play nearly anything but also be entrusted to carry when given the resources is invaluable. For that reason, he is the star player this roster is built around, and as you’ll see, four out of the other five positions were explicitly selected to compliment his play. It’s also worth pointing out that Flow3r is an incredibly valuable talent. Not only is he extremely skilled, but he is also just 17. He still could have a long career ahead of him as a star talent, and is a strong candidate to be an organization’s franchise player. There are no other DPS players that fill this spot as well as Flow3r. You could easily convince me there are more explosive players, such as Rascal of Kongdoo Panthera, or better Genji players like Haksal of Runaway. But the tendency for star carry DPS players is to narrow down on one playstyle. Hitscan, projectile, flanking, whatever it may be; that style defines and limits them. 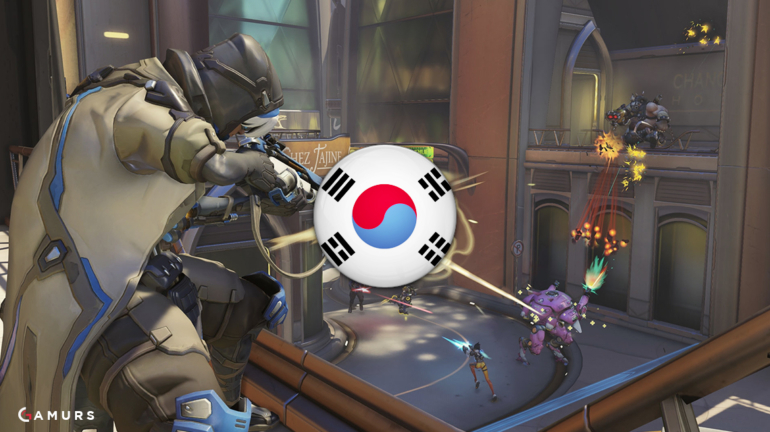 Some of the best can play two styles, but no other Korean DPS player has the reach of Flow3r. And that is the reason why I selected him. I’m unsure how many of you would have guessed Saebyolbe to be my selected secondary DPS player (I suspect not many). But as I mentioned at the start, in two instances, I chose to go with proven synergy for this roster, and this is one of them. There is a wide array of other low resource DPS players I could have selected. Recry of Afreeca Blue, Esca from Lunati-Hai, DNCE who plays for Kongdoo Uncia, or either Libero or Sayaplayer from Meta Athena, are all players who occupy the same space on a roster as Saebyolbe. Many of those players are far more versatile than Saebyolbe as well. A couple, like Recry and Sayaplayer, could probably be primary carries on other rosters. However, none of them fit with Flow3r quite as well. Perhaps this shouldn’t be a surprise, as Saebyolbe already plays with Flow3r, but he really is a fantastic fit. 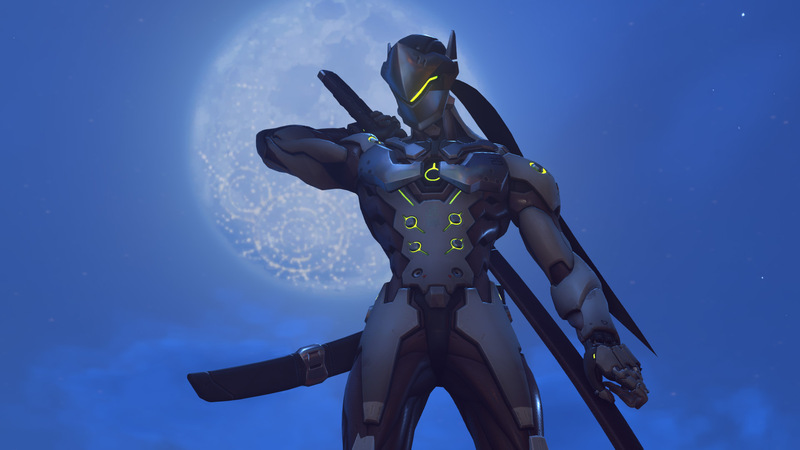 If Flow3r wants to play the Genji dive style, then Saebyolbe can move onto his world class Tracer. However, if the team wants to run triple tank on defense with Flow3r on Soldier 76, Saebyolbe can switch to the staple Roadhog, where he excels. 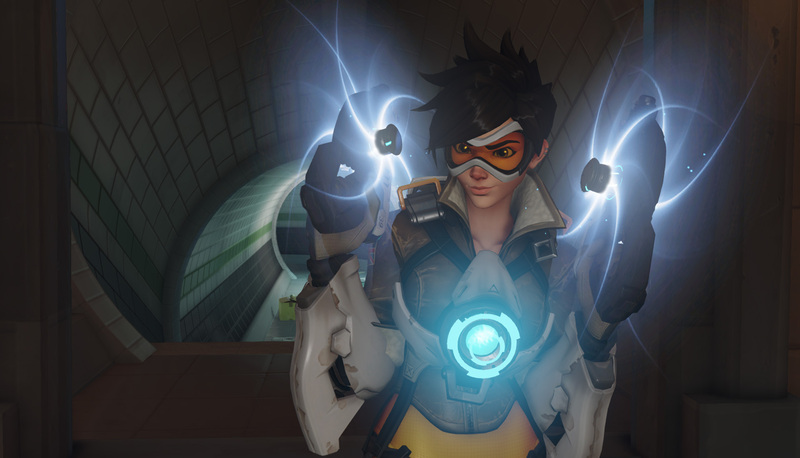 There are other DPS players who are perfectly capable of playing both Tracer and Roadhog, some of which are arguably better on one of the picks. However, rather than gambling on a potential, minor, skill increase, I chose to pick the player I know works with Flow3r. Saebyeolbe forms a tag team with Flow3r to dive backlines and cut their foes apart. The way they coordinate together, specifically the way each capitalizes on the attention the other absorbs, is wonderful. I didn’t want to break up that synergy, especially considering the tank player I chose. Following the Overwatch World Cup, where Miro was named MVP, I wrote an article called “A Study in Winston: Miro,” in which I detailed his history and playstyle. If I were to go back now and rewrite the playstyle sections, I would be forced to double their length. Every single time we watch Miro play Winston, we learn something new, and see the boundaries of the hero pushed. Most Winston players pose a threat to the enemy backline when they leap in, but nobody is as disruptive as Miro. Constantly zapping his foes from above, he provides a persistent nuisance that allows him to charge his ultimate incredibly quickly. With that ultimate, he is the best at abusing the low jump cooldown to fly around the battlefield and bat his foes around, causing further disruption. As we’ve seen in plays such as batting a Mercy out of the air while off the map, Miro is undoubtedly the master on Winston. His Winston play is why he fits into this roster so well. The DPS players already work together to form a tag team, and with such a strong Winston player, we can add a third to that dive team. The space that Miro creates for the DPS players by being such a distraction opens up opportunities for them to shine. Interestingly enough, on this roster, Miro is your secondary Nano Boost target, despite it being a DPS focused team. One reason is because if Saebyolbe is playing Tracer, he is a far from ideal target. But the biggest reason is it enables Miro to be an even greater disruption to his foes. The damage reduction allows him to dive farther, and the damage dealt boost gives him more Primal Rages to create literal space for his DPS players. If I had made this roster at the start of the season, I likely would have chosen to go with either Janus or Gamsu, both of which play a good Winston, but not on par with Miro. However, both were significantly better Reinhardt players. Janus is receiving more attention now that Reinforce talked about him, but Gamsu flies under the radar of many, despite the fact he charges more Earthshatters than Reinhardt players, such as Panker and Cocco, in series he loses to them. For the purposes of meta resilience, and if the meta ever required a dedicated Reinhardt again, I would’ve chosen these two. But, as we’ve seen this season, Miro has made huge strides in improving his Reinhardt play. He still isn’t on the level of other star tank players, but he is no longer a liability. Miro’s mastery of Winston is a significant upside on a DPS focused roster with dive prone players, and his newfound ability to be a serviceable Reinhardt allows him to be a more well-rounded primary tank player. As such, he finds a comfortable home on the roster. As we see so frequently these days, a team’s off tank is usually a secondary carry who provides some defensive utility. So rarely is the off tank player offering anywhere near the defensive capabilities of the main tank. Zunba is a member of that smaller category, and likely the best in the world at being a supportive off tank. Unlike most Zarya players who we remember by their Graviton Surge usage, the distinctive hallmark of Zunba is his shielding. On Conbox T6, he enabled Gamsu to be an aggressive frontline, and now on Lunatic-Hai, he enables Miro and Whoru in their dives. As impressive as his reactive shields can be, his preemptive shields are more telling of his playstyle. 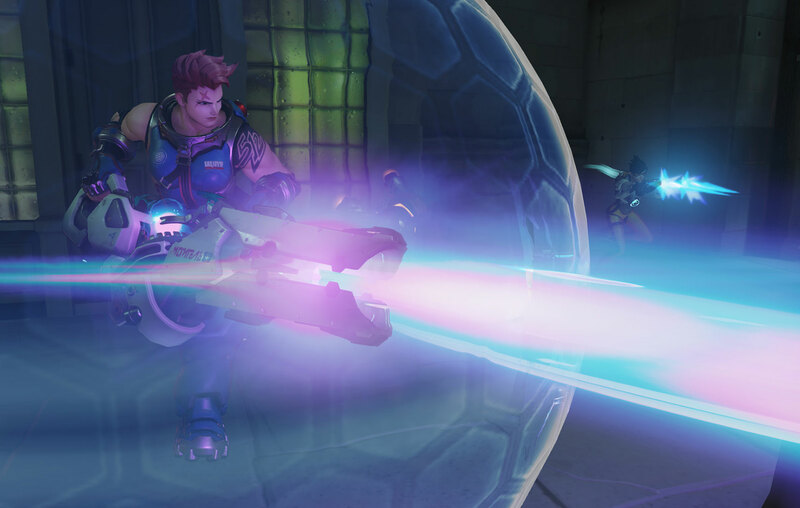 Where Zarya players, like Hoon or Butcher, tend to leap on the chance to build their energy charge, Zunba sacrifices his own damage output to save his bubbles for when his allies need them. This means that when his allies sense the moment is right, the odds are much higher that Zunba’s bubbles are ready. This means the dive player is less restricted by his allies cooldown and allowed to play with his own game sense. There are many other wonderful Zarya players in Korea. Hoon, Butcher, or Bernar would all make strong additions to this roster. But none of them have the supportive mentality of Zunba. So especially on this DPS-focused roster with star dive players, that mentality is important. This was the second choice I made in which I sacrificed star power for known synergy. Zunba is certainly no slouch, but he doesn’t make the solo teamfight winning plays that we see from many other Zarya players. However, his ability to synergize with his team’s tanks and DPS more than compensates. Zunba has been critical to enabling his teammates throughout his entire career on Conbox, the South Korean World Cup team, and now on Lunatic-Hai. His presence on each roster has been a key contributing factor to making average players look like stars, and star players look like gods. When Zunba and Ryujehong combine as a supportive duo, they enable DPS heavy compositions to flourish with plentiful artificial tankiness. I could make this section a single sentence: Ryujehong is the best Ana in the world. It’s self explanatory really; I could end it at that and most of you would understand why I slotted Ryujehong here. However, that would be obscuring much of my thought process that was involved. The obvious choice is to slot Ryujehong into every roster in the world due to his skill alone. His ability to win duels against enemy DPS, whether at range by out aiming them or with clutch sleep darts, means he requires less attention from his allies. That makes him an asset to any roster he is on, but especially so in a dive-prone team. 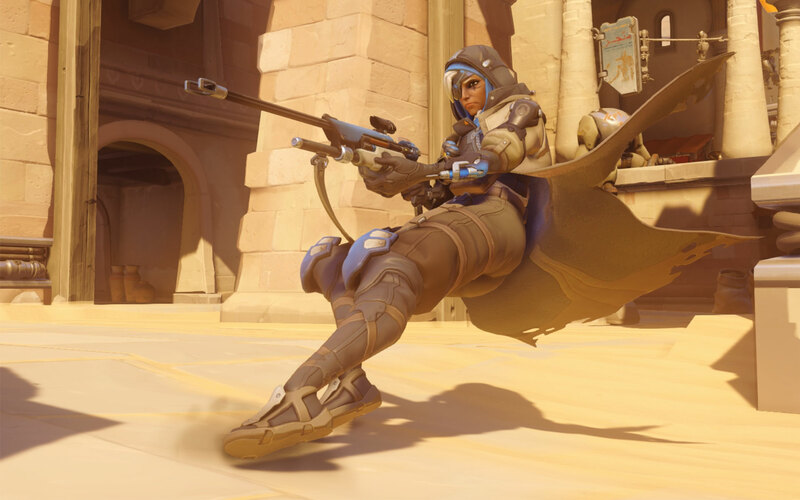 His allies can be more focused on moving forward, into the enemy team, rather than protecting their Ana player. That is one reason why I want Ryujehong on this specific roster. As I mentioned before, I will not be overlapping players in this series, so I had to be selective with where stars like Ryujehong went. As I previously mentioned, for this DPS centric roster that will tend toward dive compositions, I wanted Miro specifically for his Winston prowess. To put it frankly, we don’t know what Miro’s Winston looks like without an Ana of Ryujehong’s quality backing it up. Because I value Ryujehong’s skill so highly, I am almost coerced into pairing him with Miro because I know how well that pair operates. Miro certainly mechanically executes the hero well, but the limits at which he pushes Winston are greatly extended by Ryujehong and Zunba. So, on a roster where I value the dive of Miro’s Winston and the freedom that his disruption provides, the incredibly accurate healing Ryujehong brings to all his diving allies is a must-have. And just like Zunba, the support Ryujehong provides will be important to keeping a dive-heavy team afloat. As I stated in part one of this series, I would love to have Tobi in this slot. But as I can’t overlap players, I instead choose to go with Gambler. This likely comes as a surprise to many, who after Meta Athena’s most recent series, have become fans of Kris. While undoubtedly Kris’s performance as of late has been impressive, Gambler is still a better choice for the Lucio main on this roster. Kris is prone to looking for plays with his boop, often taking a significant amount of his available time in a fight just using the wall ride to get into position to displace an enemy. Of course, this tactic has been very effective for Meta Athena, but it would be less favorable on a dive prone roster. The displacements that Kris looks for are arguably necessary for that team who does not play a heavy dive style. Instead, on this roster, it would be the responsibility of the diving players to disrupt the enemy on the high ground or other defensive positions. But specifically on a roster that is less likely to run triple tank or a Reinhardt, you are always looking for another source of defensive utility. This is a big reason why we chose Zunba, and it is also the reason we choose Gambler. Out of all the Lucio players in Korea, and indeed the world, Gambler has some of the best clutch Sound Barrier timing. His uncanny ability to save his allies from enemy ultimates is a welcome addition to the list of support the carries of this roster have. 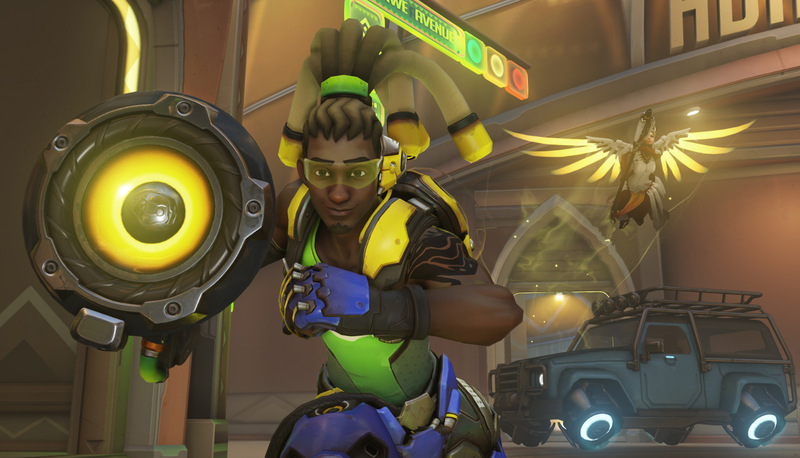 Gambler has a very different approach to playing Lucio than Kris. But his defensive, more utility-focused, mindset is preferred for this roster, partially because a DPS focused roster is not thirsty for a slight damage boost from a Lucio, but mostly due to the fact this roster simply doesn’t need more playmakers. You already have Flow3r, Miro, and Ryujehong who can make a play to take over a fight for you and bring your team back in a map you were losing. If we have too many explosive players, the roster would lack consistency for the explosive players to rely on. Gambler brings us a stable foundation and finds himself a slot on this team. This roster has a clearly defined style. 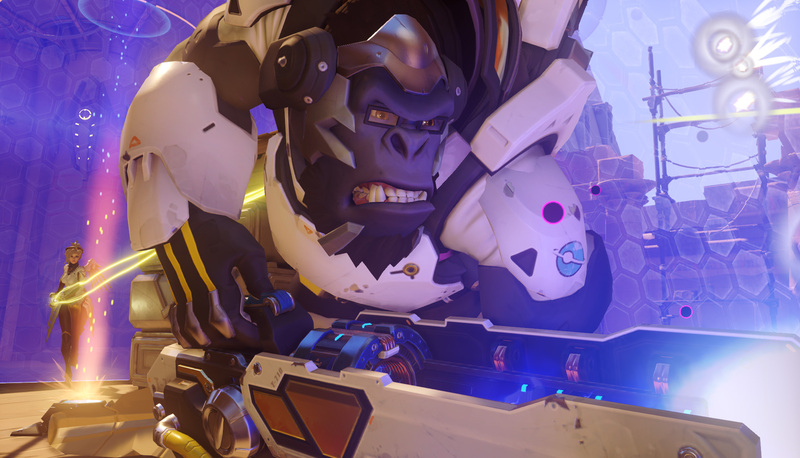 Built around two DPS players who excel on dive heroes, Genji and Tracer, they are backed up by the world’s best Winston and a trio of supportive players. You can play around either Flow3r and his ability to clean up fights himself, or the space Miro creates on Winston. That isn’t to say this roster is one dimensional. Flow3r can play any DPS hero you would like, and Saebyolbe can always pick up Roadhog for consistent picks. And with Miro’s improvements on Reinhardt recently, this team will be far more patch resistant than it may initially appear. If I wanted to build a Korean roster focused around a star DPS duo, these are what my choices would be.